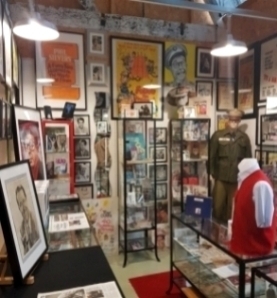 November 1st 2015 marked both the 30th anniversary of Phil Silvers' passing and the official opening of The Phil Silvers Archival Museum. 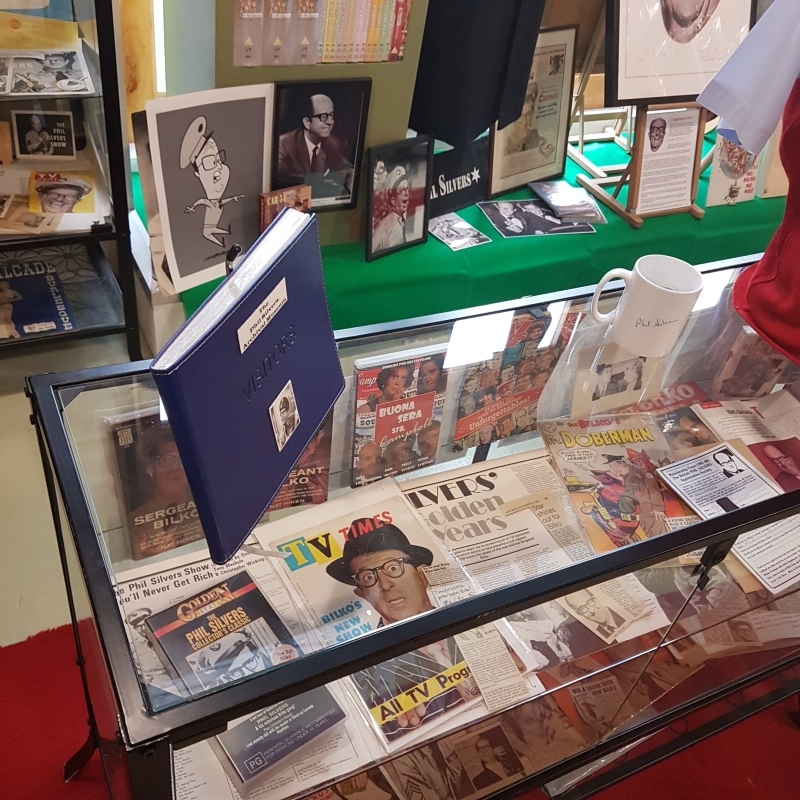 Located in Coventry's popular niche shopping and crafts centre Fargo Village, the museum was the realisation of the ambition of The British Phil Silvers Appreciation Society to open a permanent exhibition dedicated to the late great Phil Silvers. Having worked exhaustively on the 2014 release of the MediumRare boxset Sgt.Bilko: The Complete Collection which finally saw the release of all four seasons of The Phil Silvers Show to DVD the society were keen to mark 2015, the 30th anniversary of Phil's passing and the 60th anniversary of the debut of The Phil Silvers Show, with a celebratory event and what better way to mark that ocassion than with the opening of an exhibition of Phil Silvers memorabilia. The Museum has been self funded since its inception but following a Crowdfunding campaign enough funds were raised which enanbled the Museum to expand. Celebrity endorsements came via pledged support from comedians Phill Jupitus and Tim Vine, radio presenter Danny Baker and Star Wars icon Mark Hamill. 'Steve and Mick: Thank you for getting this amazing place together. A joy! TAYYYYYY-UP!' - Phill Jupitus, January 2017. 'This is great work you do. I am awed. It is in the spirit of Phil Silvers the joy unfolds.' - Danny Baker, February 2017. The Crowdfunder project gave us enough funding to facilitate freeing up some much needed space and to make some internal alterations, including a new dividing wall, light sensitive window blinds and cabinets to safely display the more sensitive items, such as the original opening credits animation art and cels. We are also planning an extensive image gallery and a large screen monitor to screen Phil's work. 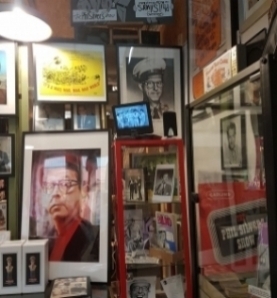 The museum is filled with many items of Phil's personal possessions several of which were donated personally by Phil's family. Ephemera on display includes clothing, artefacts, letters, photos and documents along with a host of other memorabilia which celebrate both his personal life and his professional career. Recent acquisitions include a jacket from the Debbie Reynolds Estate which Phil wore during his screen test for the 1944 film Something For The Boys and a rare British poster for the 1950's re-release of Phil's 1941 film You're In The Army Now. The museum attracts daily visits from people from all areas of the UK and we've even had visitors from overseas. 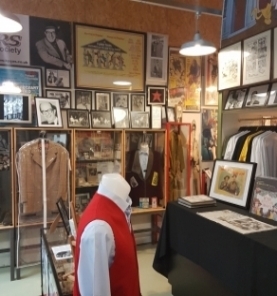 We are extremely proud of the fact that this the only Museum in the world dedicated to preserving Phil's enormous legacy. The Phil Silvers Archival Museum is open six days a week, Tuesday to Sunday, from 11am til 5pm. Entry is free and all visitors who sign the Guestbook will receive a complimentary Phil Silvers badge.